It is important to be aware of the required or recommended Costa Rica Vaccinations before you plan your trip over here. These requirements can be different if you travel from certain countries. An example of this is the yellow fever vaccination. In Costa Rica you won’t run the risk of contracting Yellow Fever, but the vaccine is still mandatory if you are traveling to Costa Rica from specific countries. Please read on for all the specific information you need for before you visit Costa Rica. Some of these you might already have obtained when you were a child. Consult your doctor and make sure you are vaccinated against all of these diseases! Make sure the keep your vaccination card along with your passport with you at all times in case they are requested upon arrival. Some routine vaccinations like tetanus are also best boosted before your trip. Some bug or mosquito bites can cause diseases like Zika or Dengue in Costa Rica in rural areas as well as the more populated ones, although it is quite rare and Costa Rica is not exactly a high risk country. Many travelers are currently worried about the Zika Virus in Central America and South America, especially for pregnant women, children and the elderly. Talk to your doctor before traveling to Costa Rica to make sure it is safe for you. According the CDC, symptoms of the Zika virus include fever, rash, headache, red eyes, muscle and joint pain. The symptoms of Dengue Fever include sudden, high fever, severe headaches, fatigue, nausea, vomiting, rash, pain behind eyes and muscle and joint pain. Unfortunately, there is no vaccine available to protect you against these diseases and the best thing for you to do, is simply to avoid being bitten by the mosquito that carries the disease. To reduce your risk of insect bites, wear long sleeves and pants to cover more skin, especially during rainy season when there are more mosquitoes, use an insect repellent that has 20% DEET or more, stay in air-conditioned or screened rooms and use bed nets if your sleeping arrangements are exposed to the outdoors. Also note that certain risks with be higher when visiting a national park compared to visiting beaches. Beaches in Guanacaste will also be different from beaches on the Caribbean Coast. 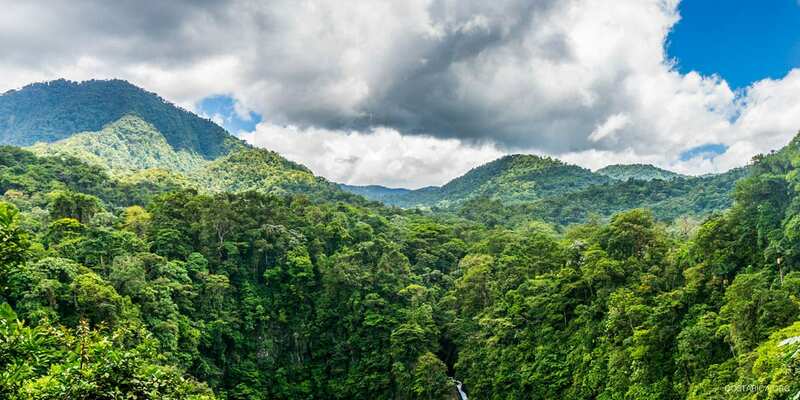 Inform yourself of everything before visiting Costa Rica! If you are traveling to Costa Rica from South America and / or sub-Saharan Africa, you will require a Yellow Fever vaccination and be prepared to show the yellow fever vaccination certificate when you enter Costa Rica from these specific areas of the world. You also shouldn’t travel to Costa Rica within the 10 day frame of receiving the vaccination. Angola, Benin, Burkina Faso, Cameroon, Democratic Republic of Congo, French Guyana, Gabon, Gambia, Ghana, Guinea, Liberia, Nigeria, Sierra Leone, Sudan, Bolivia, Brazil, Colombia, Ecuador, Peru, Guyana and Venezuela. Any individual traveling to Costa Rica that has been in transit through those countries through airports, sea ports or land border posts, will be exempt from the requirement of for a yellow fever vaccination. People who have resided in countries considered at risk, but who have resided in a non-risk country for a minimum of six days without contracting yellow fever before entering Costa Rica. Too, People with medically certified contra-indications for the vaccination against yellow fever who carry a valid medical opinion supported approved by the health authority in the country from where they are from. Also, Children under nine months old. People with medically certified severe allergy to eggs. Persons with medically certified immunosuppression disease present or in their medical history. People with medically certified disease of the thymus present or in their medical history. There must be a medical assessment of the pros and cons of vaccination for individuals with the following conditions: over 60 years of age, pregnancy, lactation, family history of adverse events associated with vaccination against yellow fever, hypersensitivity to gelatin and asymptomatic HIV infection, with laboratory verification of adequate immune system function. Please consult our is Costa Rica Safe articles for further safety tips. It is important to have a complete understanding of the country you are traveling to so you can avoid illness. For instance, people often ask if the tap water is safe in Costa Rica (it is) or if they should drink bottled water only. how it is best to get around, what are the best things to do, …. Also make sure you lower the risk of infectious diseases or contaminated food by making wise choices of where to eat. Costa Rica is pretty good when it comes to hygiene but always stick to the simple rule that if you don’t like the look of a place, do not visit it. If you buy fruits and vegetables from the market, wash then thoroughly before cooking with them. Costa Rica uses a lot of pesticides! Please note Health information and warnings and concerns change all the time. This information is not finite or final and should in no way be considered health advice. Is it always recommended that you check with your local health professional, especially before traveling to a foreign destination to get the current recommendations for you and your party. For up-to-date Public Health warnings, notifications and information, please consult the Center for Disease Control and Prevention (CDC) or the World Health Organization. Also, check out our medical tourism and dental tourism articles.